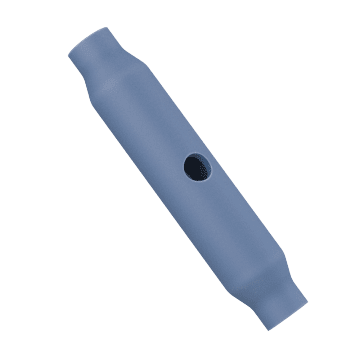 Build a turnbuckle to suit your application using these fittings and bodies. 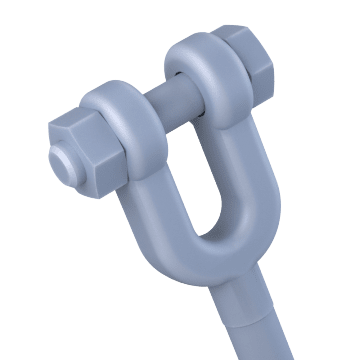 Install a fitting on each end of the body, and connect a wire rope or cable to each of the end fittings. Then turn the body to quickly adjust the tension. 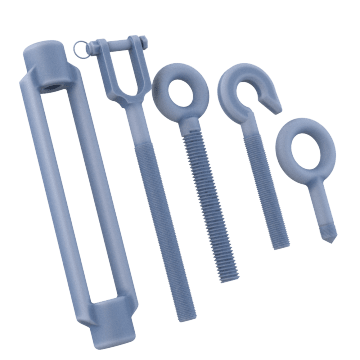 Remove the pin on these clevis fittings to quickly install or remove wire rope or cable, and replace the pin to prevent accidental disconnection. Protect threaded fittings from dirt, debris, corrosion, and abrasion with these closed turnbuckle bodies. They can be used with the fittings of your choice. 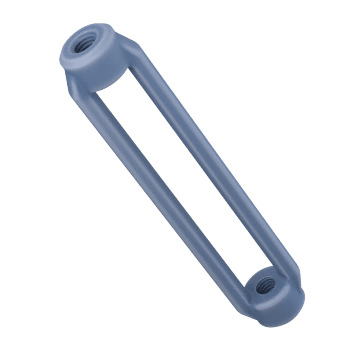 These open turnbuckle bodies can be used with your choice of end fittings and are easier to adjust than closed-body turnbuckles.